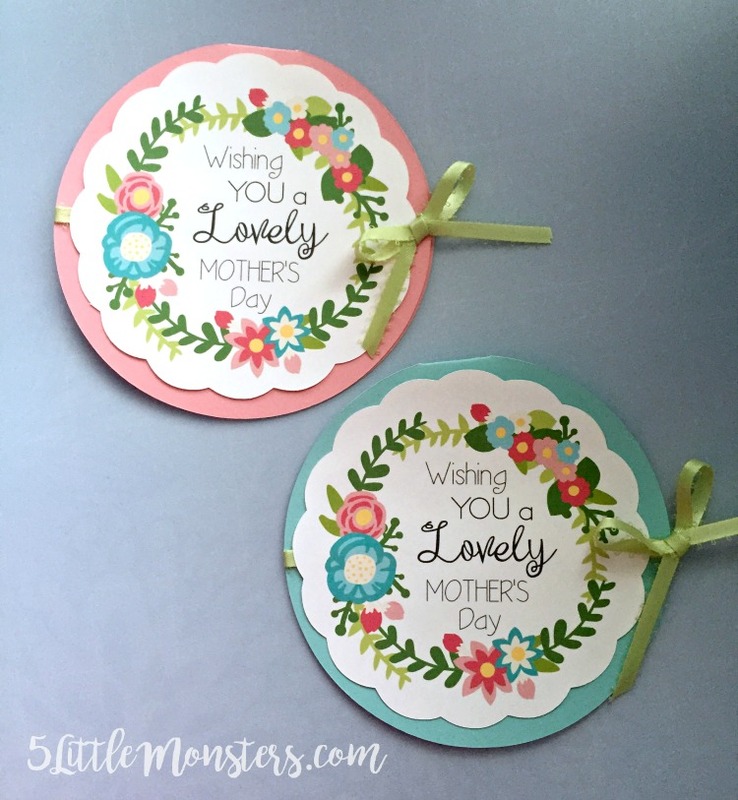 With Mother's Day this weekend, Father's Day next month, birthday parties, baby shower, and weddings all throughout the year there are always times when you need a card. 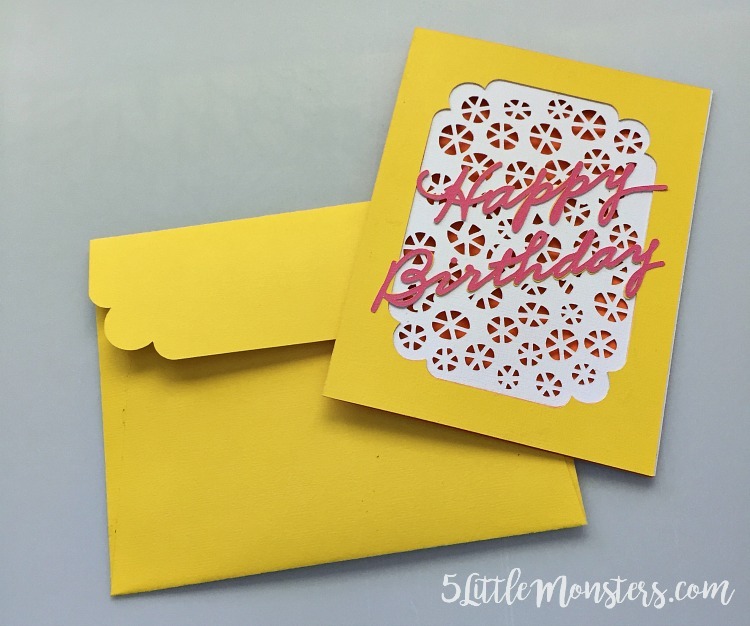 With your Cricut it is super easy to make cards for any of those occasions. 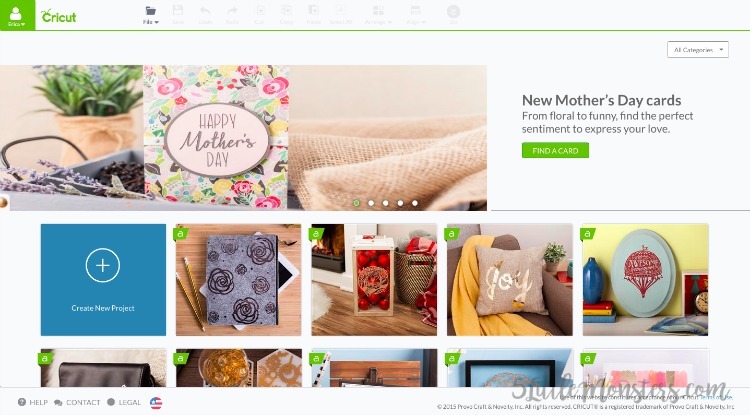 You can always create something of your own, that is always fun to do and it is great if you want something really specific or personalized, but sometimes you just need something quick or maybe you just want something that is ready to go without needing to come up with a design. These are the times that Make It Now designs really come in handy. 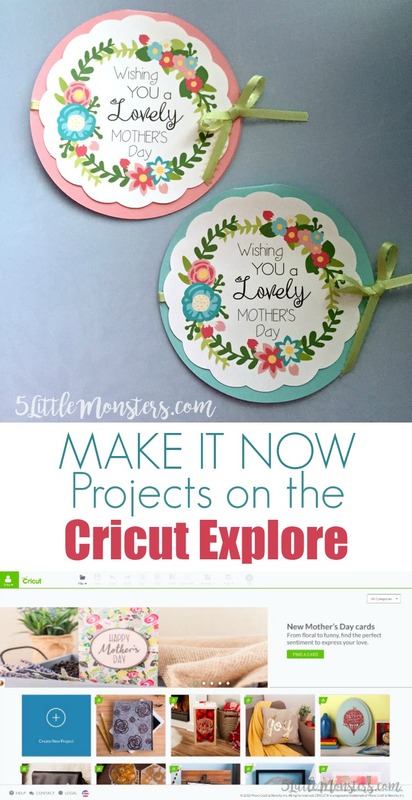 There are lots of different Make It Now projects available but cards are some of my favorites. 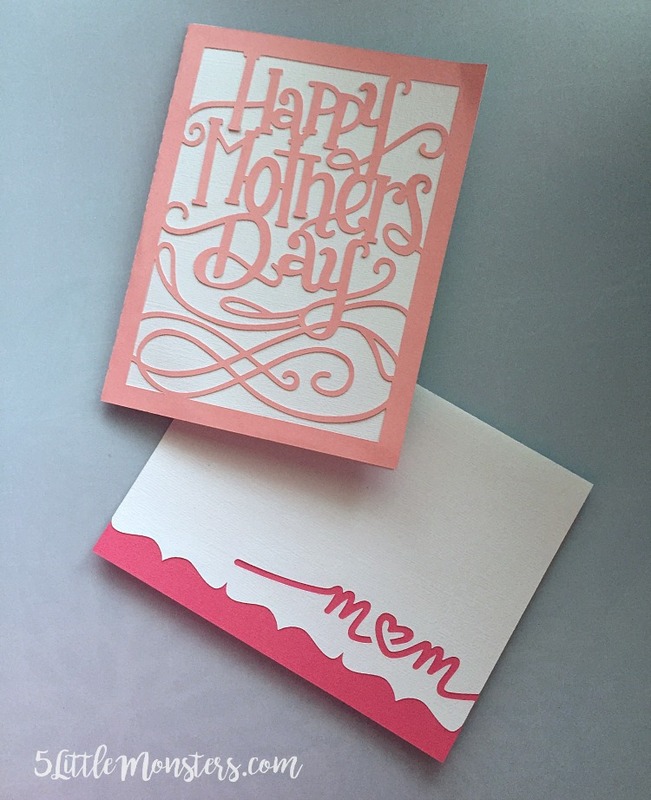 I used them to make Mother's Day cards last year for our moms and grandmas. I have also used them to make birthday cards, cards for baby gifts and for teachers. To make one of the Make It Now projects the first thing you need to do is open up design space. Click on file, that will bring up a drop down menu, then click on Make It Now. This will open up the Make It Now Projects. You can browse the projects there or you can select a specific category. 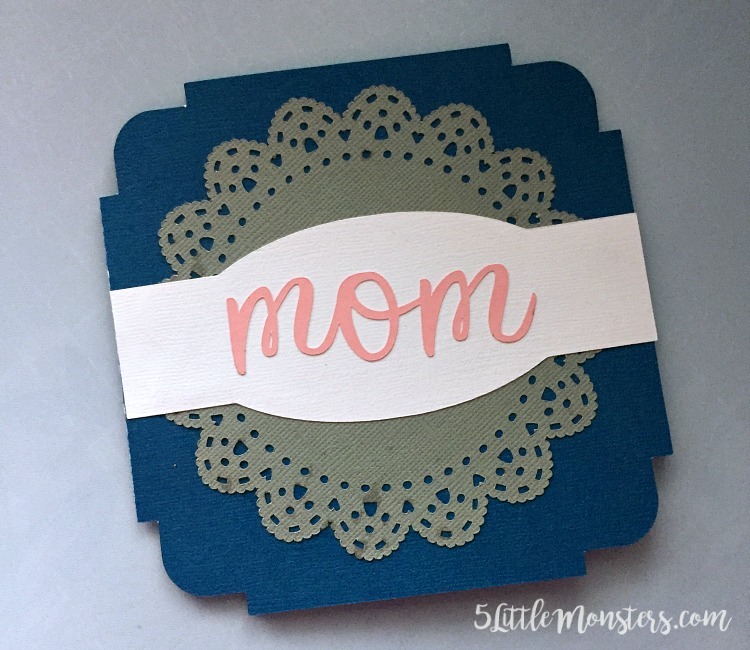 I selected Cards: Mother's Day. This will bring up all of the projects in that category. 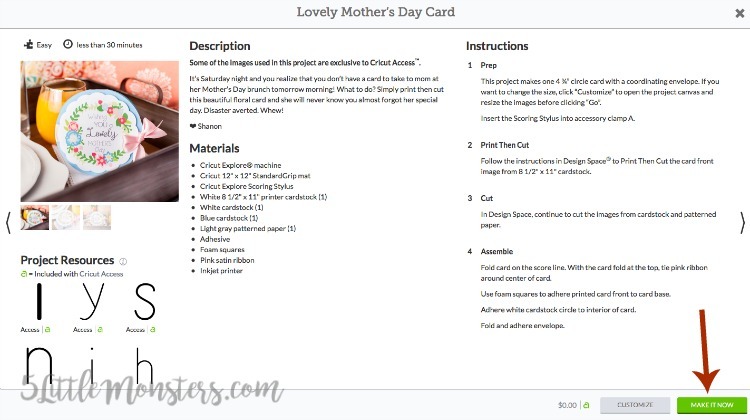 There are 44 projects in the Mother's Day Card category. 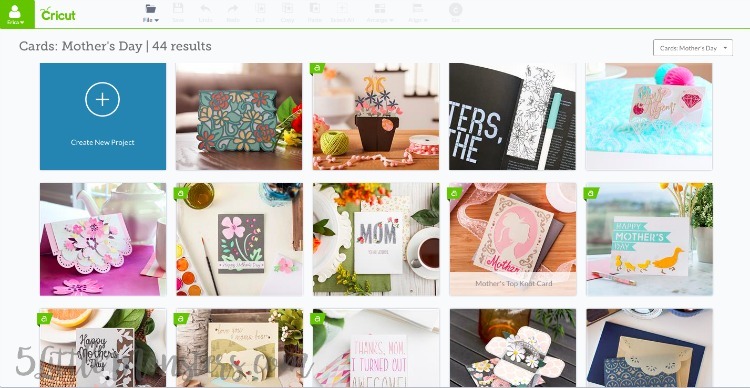 Some of them are free with Cricut Access, others include paid elements that you would need to buy in order to use them. When you find one you want to make, or just see more info on, click on the picture and it will open up a screen with all of the info on that project. It will tell you what supplies you need, assembly instructions, and whether or not there is a cost. 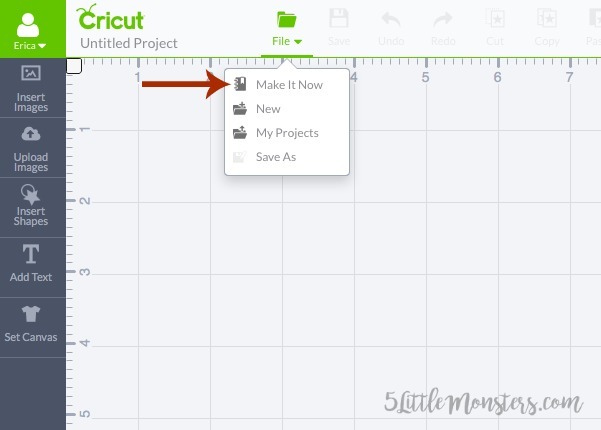 When you are ready to make the project just click the Make It Now button in the bottom right corner. That will take you to the cut screen. This particular card has a print then cut element so it will have you print it first, then cut the different pieces. 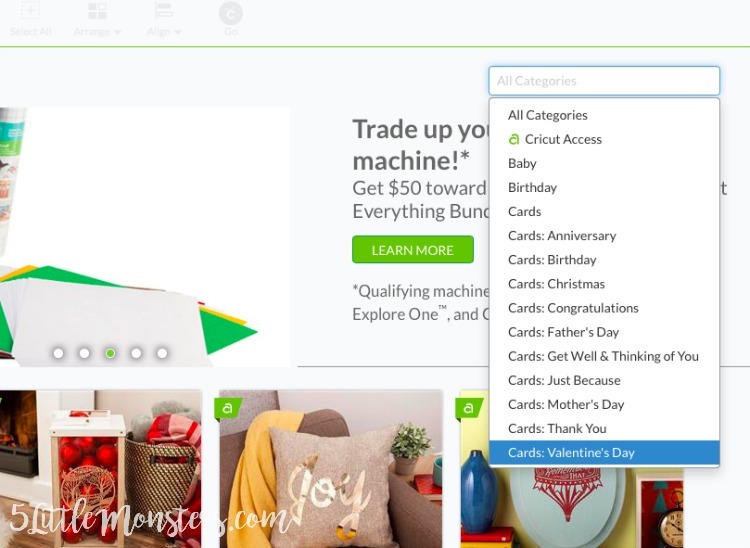 From that point you just cut as you normally would and assemble the card following the directions in the project. 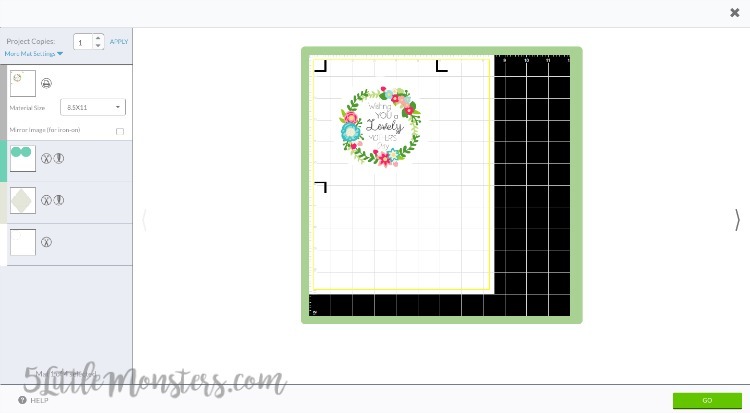 This is a great way to find quick and easy projects to make, especially if you are looking for a seasonal project. Sometimes you just need a project that you can finish quickly and Make it now projects are perfect for that. I really like those circle cards!